A man is facing home invasion charges after allegedly crashing, breaking into a house and attacking a mother in front of her children. 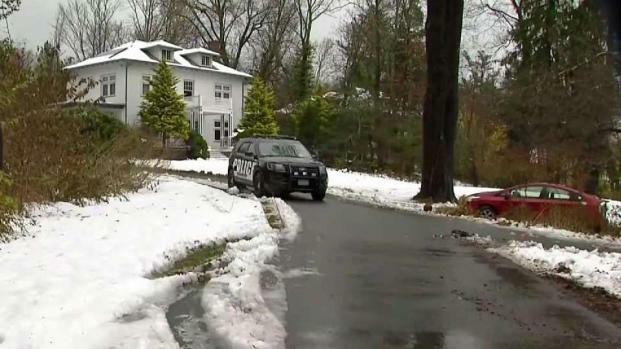 A Massachusetts man is being held without bail after police say he crashed his car during a snowstorm, broke into a Sharon home, then assaulted a mother with a picture frame while her three school-age children watched late Thursday night. 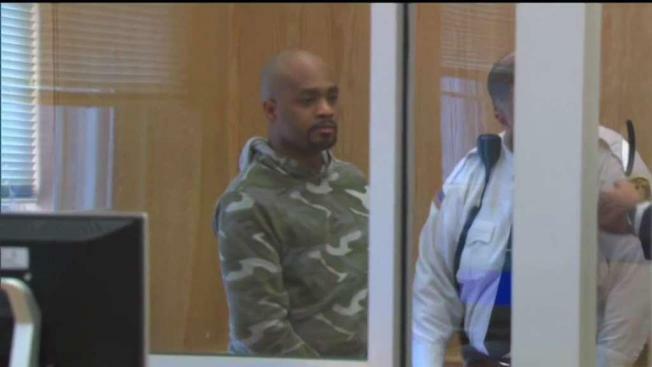 Ricardo Francis, 39, of Boston, was ordered to undergo a psychiatric evaluation at Bridgewater State Hospital following his appearance in Stoughton District Court. Sharon police said they received multiple 911 calls from a home on Billings Street around 11:30 p.m. The callers, some of them children, were reporting a break-in, assaults and a man with a knife inside their house. Within seconds, a patrol officer arrived at the scene and encountered an "enraged" male, later identified as Francis, in an upstairs bedroom. A man is facing charges after allegedly breaking into a home in Sharon and attacking the woman who lives there in front of her children. The officer subdued Francis at gunpoint and he was arrested and placed into custody. At the time of the incident, an adult female and her three school-age children were inside the home. Police said the mother was assaulted by the suspect and suffered non-life-threatening injuries. The three children were not harmed. Police said the family told them they were watching television inside the home when Francis broke in and assaulted the mother with a picture frame as her children called 911. Her husband was not home at the time, having left to drop off a friend whose car was stuck in the snow. The family said Francis wasn't making any sense, saying it was his home and making threats. The mom tried to get him to go outside, and at this point her husband returned home and realized what was going on. He and the children ran upstairs and barricaded themselves in a closet. Francis allegedly followed them, took out a knife, and started stabbing the door. Police then arrived and were able to take Francis into custody before anyone was seriously injured. 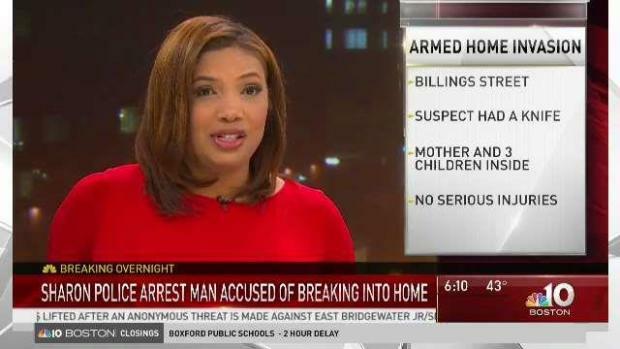 A man accused of breaking into a home and threatening a mother and her children in Sharon, Massachusetts has been arrested. The mother needed stitches but has since returned home. Police said there does not appear to be any connection between Francis and the victims other than the fact that his car ran off the road in the snow and struck a vehicle located at the end of their driveway. The father is a rabbi at Temple Israel, and police said they are looking into whether that may have had anything to do with the incident, but they don't believe that it did. Francis is charged with armed home invasion and multiple felony charges, according to police. Police said Francis had left work early on Thursday and hadn't been heard from for a while by family and friends. Beyond that, they said they don't know much. Francis is due back in court Dec. 5 for a dangerousness hearing.